CTMQ > Food & Drink > Restaurants > Vernon: Complete! Here is my list of everything I’ve done in Vernon! I’m very excited to write this page. This is the third of what may ultimately be 169 town completion celebration pages! Yes, of course I am fully aware of how absurd that is. Send your condolences to my wife and children, care of the comments below. 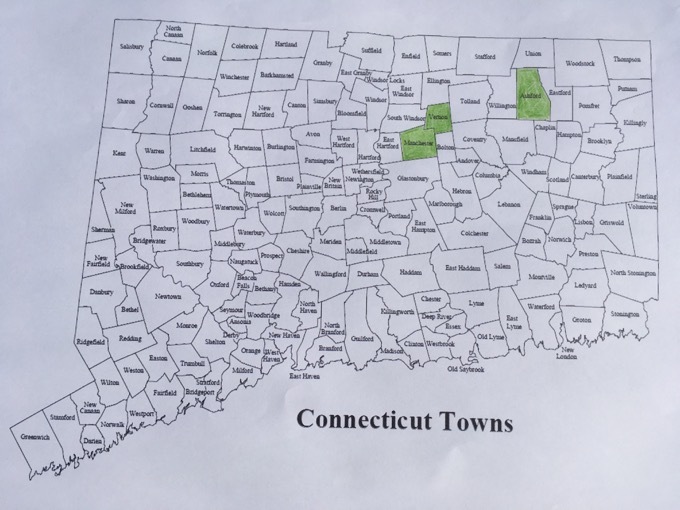 For those of you who are new here… after a decade of writing CTMQ, I decided to try to “complete” towns. In that decade of traveling and writing, I had already done a lot of stuff in most of our towns already. However, I have been continually surprised by how much more there often is to do. This page you’re reading includes my “town completion celebration meal.” These will sometimes be at the best restaurant in town. Or the most historic. Or the most iconic. Or the most unique. Or the only one. Or at a gas station. Every town is different! It was a no-brainer when it came to deciding where to celebrate my completion of Vernon. Of course it would be Rein’s Deli. I think if I went anywhere else, you’d all have my hide. The only difficulty was finding a time to go when we wouldn’t have to wait forever for a table. Such is life at Rein’s, arguably the most authentic “New York Style Jewish Deli” in Connecticut. I had been there once before, many moons ago, but I had forgotten how ridiculous it gets on the weekends. So our first attempt on a Saturday with all four of us failed miserably and we wound up in the next plaza at the Vernon Diner – a pretty stellar backup option. The week we ate lunch there, it had just won “the best diner in Connecticut” from Mental Floss. Of course, there are a bunch of other “best of” lists that don’t list Vernon Diner, but whatever. It was a good lunch – and fairly exceptional for a diner. Vernon diner is supervised by the most experienced host, famous Chef – Teddy Demos. After graduating from French culinary institute in New York City, Teddy worked at high end restaurants in Manhattan as an executive chef and later went on to open up his own restaurant in Times Square. 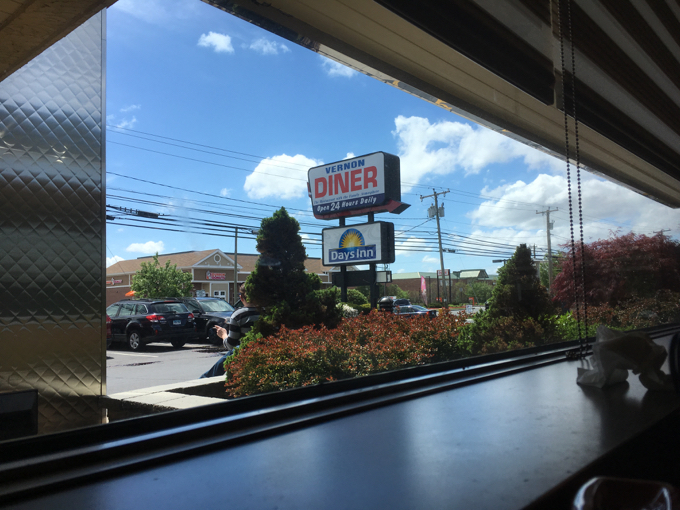 After operating it for years the Demos family took on a new adventure, an opportunity to take over a diner in Vernon Connecticut, converting it in to what it is today. But it wasn’t Rein’s. I came back with just Damian soon thereafter around 1:30 in the afternoon. Our wait was only about ten minutes and from that point forward, our meal progressed quickly. Rein’s is both a restaurant and a store. (Resulting in an even more crowded entrance area.) There’s a deli counter with all the traditional fare, a bakery area with all the traditional fare, and a dry goods section with all the traditional fare. 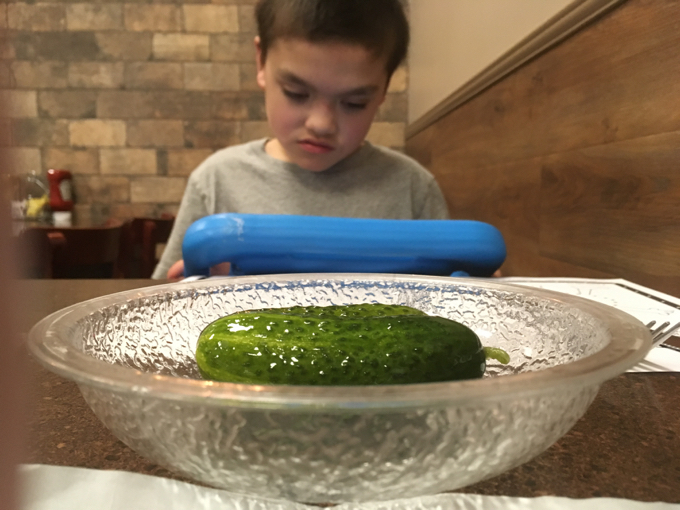 My goal was to experience as much of a “New York Jewish Deli” experience as possible. (And to keep Damian happy while doing so.) The menu here is HUGE and you can go full-on Jackie Mason in the Catskills if you want. And I wanted to… up to a point. Centrally located between N.Y., Boston & Heaven, you’ll find yourself in a N.Y. state of mind as we welcome you into our bright, bustling restaurant and delicatessen to partake of our traditional Jewish deli fare. We’ll greet you with crisp, garlic pickles and seat and serve you in a New York minute! 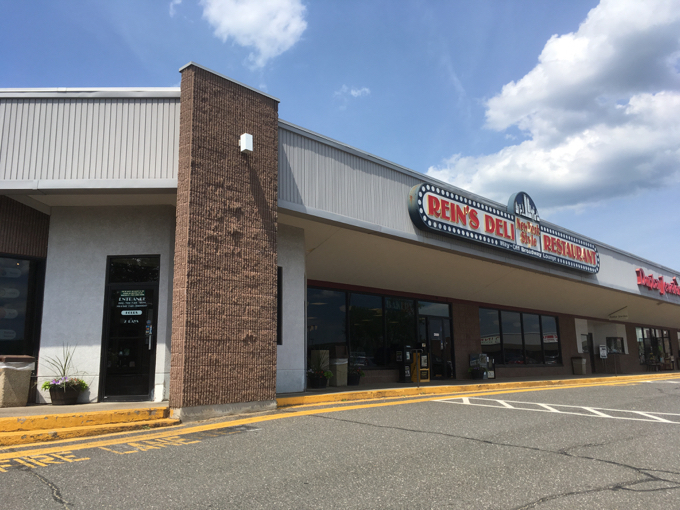 Founded in 1972, Rein’s Deli was the answer to the search for a good corned beef sandwich by Bob Rein, who with his wife Betty and brother Bernie, brought authentic New York Style Jewish deli to New England. There has, however, always been more to Rein’s Deli than food alone. 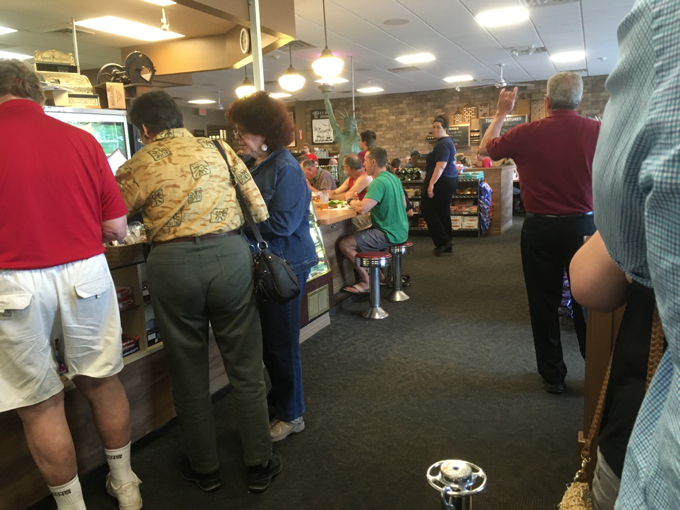 For many, we believe, it is also the deli experience that harkens back to a bygone era – simpler times, the heyday of neighborhood delicatessens and grocers and all the pleasant memories it evokes; of family, great food, sitting down together as a family to eat, and entertaining good friends. 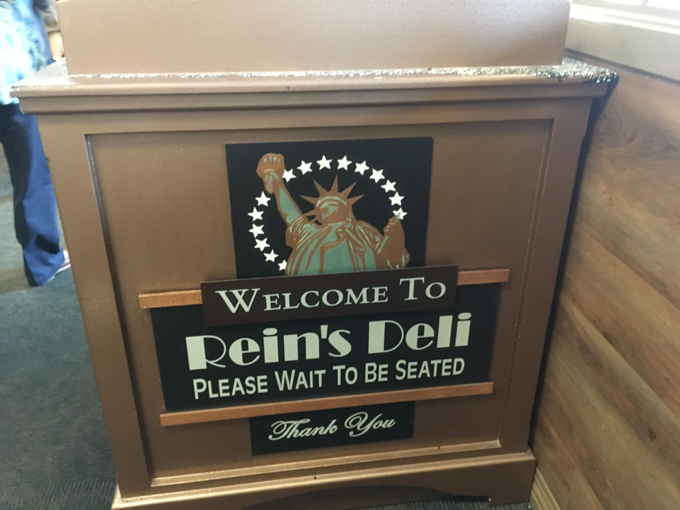 At Rein’s Deli in Vernon you may indulge yourself with our homemade soups, mounds of savory hot pastrami and corned beef on rye, hand-cut lox layered on cream cheese laden bagels, crisp potato pancakes, knishes, delectable cheese blintzes and creamy hand made cheesecake from New York. 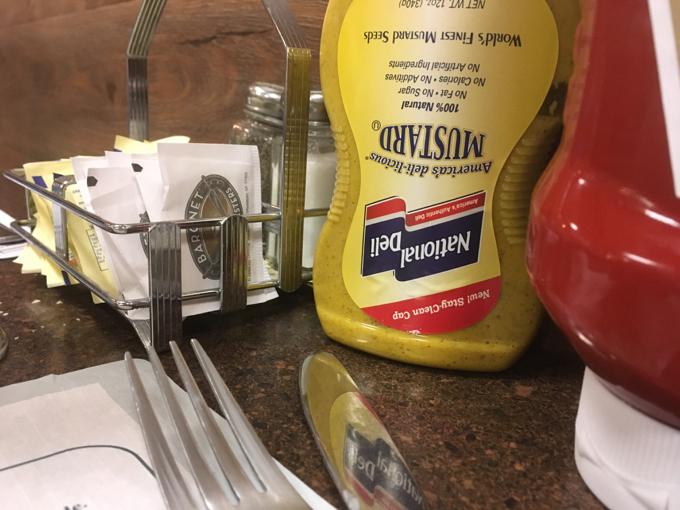 They use “National Deli” mustard. I figured that was important. You get the point. I started off with, and this is true, marinated herring in cream sauce. I had never had this dish before, and I picked it merely because it sounded like the worst thing on the appetizer list. I felt it would give me cred. 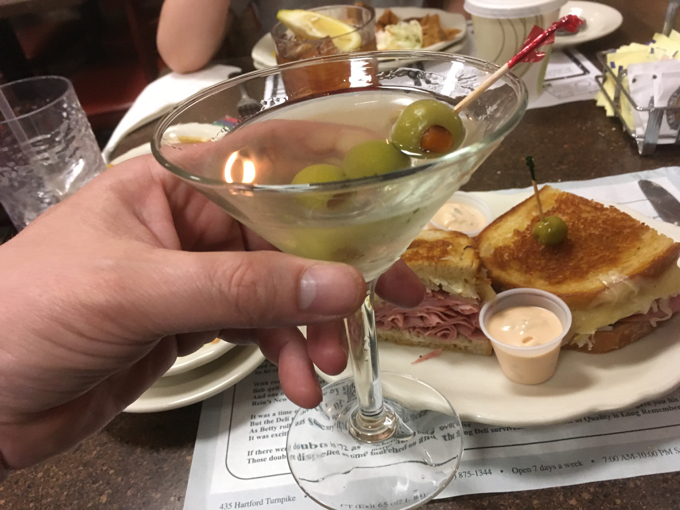 Nearby tables would say, “Wow, that blue-eyed guy with the Asian kid is more New York Jewish Deli than I’ll ever be.” And what the heck, why not a well-gin martini to boot. I was living the high-life. I couldn’t do the chopped liver and I’ve had gefilte fish and don’t need to ever have that again. 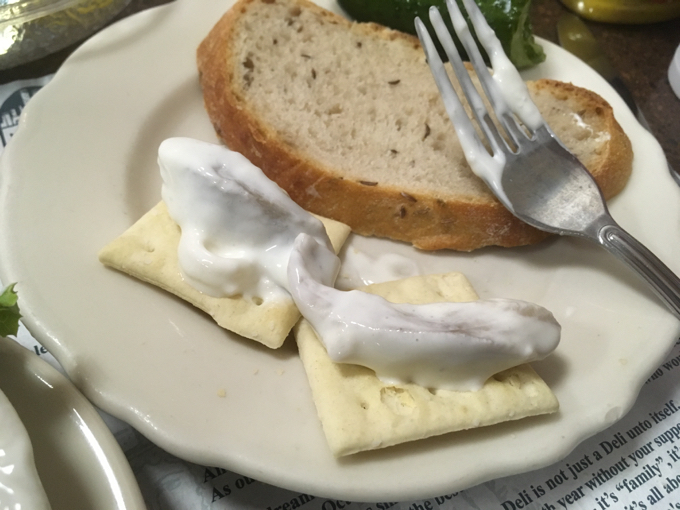 About the herring in cream sauce, Rein’s says, “This appeteaser is outstanding and only at Rein’s because it’s made with our own secret recipe.” Okay. I ate pretty much the whole thing, but man, if not for those crackers and that slice of rye bread, no way. The bread and crackers cut the weird sweet tang of the sauce. Once I polished them off, I think I am all done with creamy fish in my life. Fish really shouldn’t be creamy. For my main lunch course, I went with the turkey pastrami Reuben. Listen, I try not to eat red meat. I realize turkey pastrami is an affront to all that is holy (v.Jewish), but that’s what I went with. Washed down with that crappy gin martini I mentioned. Here’s a funny thing: I don’t like sauerkraut and I hate thousand island dressing. Heck, I’m not too big on rye either. (I do like gin at least and I love swiss cheese!) I have no idea why I didn’t get he Rachel (slaw) instead of the Reuben (kraut). But I ate my entire sandwich! I don’t really know how or why, but it was pretty good! The kraut wasn’t particularly pungent and the pastrami (which I just looked up and learned is perfectly fine as turkey) was seasoned enough to drown out the flavors I didn’t like. And the Russian dressing wasn’t as gross as it usually is. Well done, Rein’s! Similar in flavor to corned beef, our Hebrew National Tongue makes a great sandwich. Pair it with Swiss or Chopped liver. Yum! Look, when a menu has to tell you “Yum!” you know it’s not really “Yum!” But man, Rein’s is certainly doing it right. Always busy with smiling customers. Damian enjoyed his hot open-faced turkey sandwich and we bought some required items to take home with us. I don’t like cream soda either! Haha. 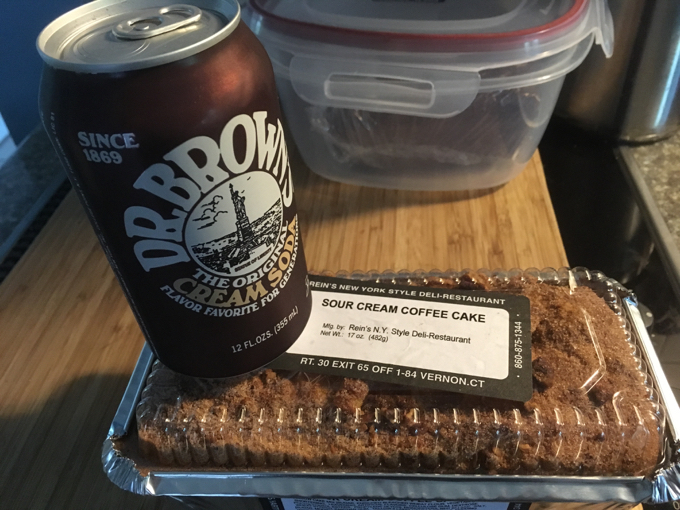 But I liked Dr. Brown’s more than any other. The cake was delicious. If, for some reason, you’d like to read MORE about me eating traditional Jewish food I potentially dislike, I spent a couple days eating my way through Crown Market’s deli, here. 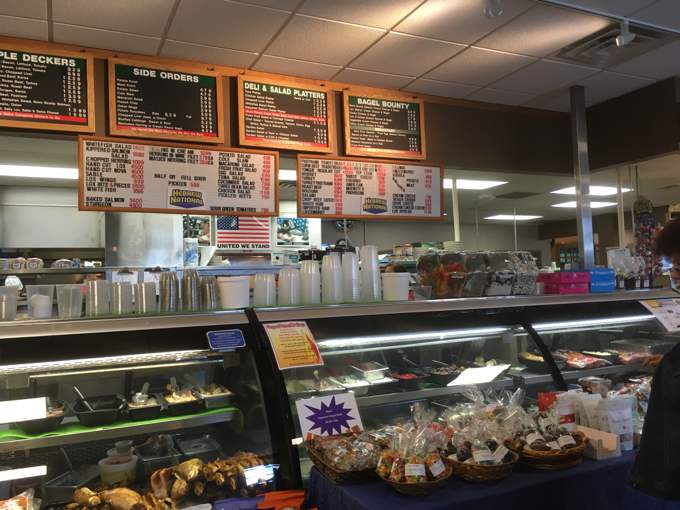 So for those who know great deli, coming to Rein’s Deli is like coming home. For the Rein family and their staff, it’s like opening their home to friends. Vernon is way, way more rural than most people think… I think. It’s not a rural town, per se, but the whole Rockville/Vernon divide has its roots in the urban/rural divide in town. My wife Hoang was with me for one trip there during which I cut across from Bolton through Vernon and up to Ellington. She kept saying, this is Vernon? Why… yes. Yes it is. But downtown Rockville is also Vernon. 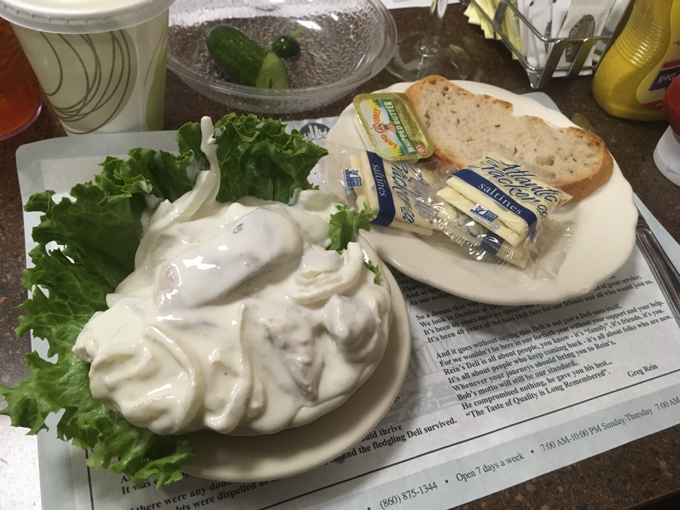 One of the most famous Jewish Delis in the state is Vernon. And let’s not forget the Free Spirit Café! That is Vernon too. I enjoyed my explorations of Vernon for the most part. All the stuff in and around Valley Falls Park is great. 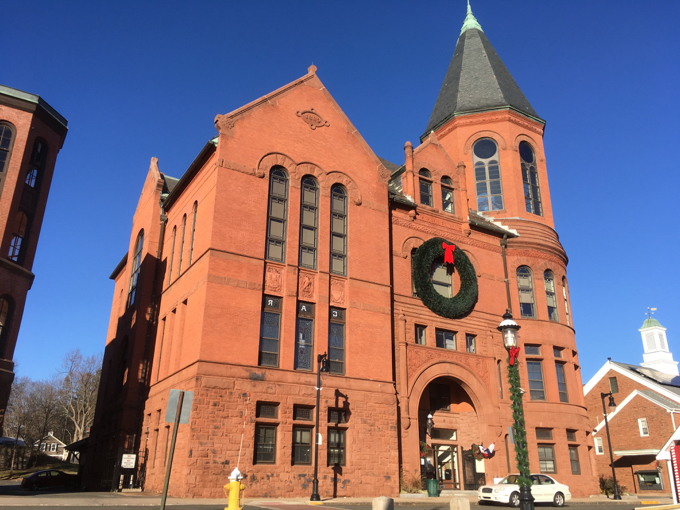 The Civil War Museum, though small, is earnest and important. 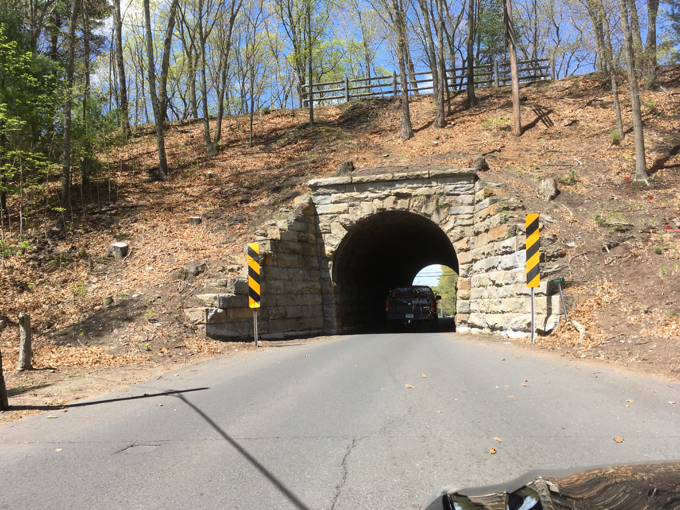 And the Keyhole Tunnel on Tunnel Road is one of a kind. I can’t pretend that there’s anything in Vernon that will inspire you to jump in your car right now and tear up there. It’s sort of an “in-between” post-industrial suburban middle-class town, like Manchester is, but just not as big. 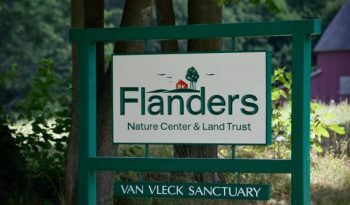 I appreciate all the efforts that have been made to provide hiking trails all around the town, and their devotion to Gene Pitney is admirable. 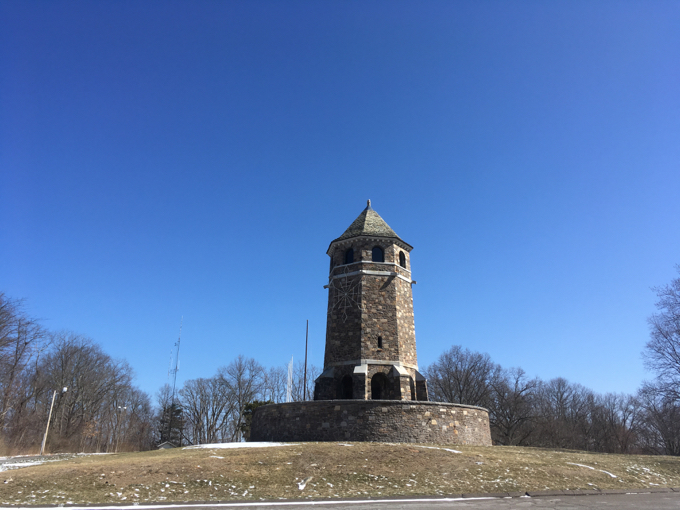 But until I get up the Tower on Fox Hill, I’m going to maintain a grudge. Disappointment: Not getting inside and up the Tower on Fox Hill and not getting drunk at the Twilight Zone known as the Free Spirit Cafe. I’ve lived in Vernon for fourteen years now and I still haven’t been to Rein’s Deli. However, my wife sometimes picks up bagels from there, so I can confirm they make good bagels. The Free Spirit is also known as The Dirty Bird.